Home Early 18th century pottery from pre Lowland Clearance sites in Scotland. 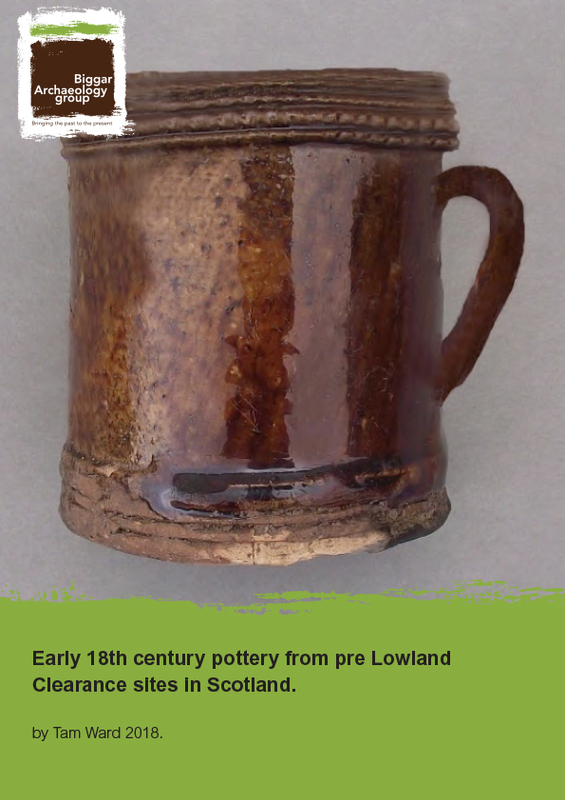 Download pdf report: Early 18th century pottery from pre Lowland Clearance sites in Scotland. Several excavated sites in southern Scotland have produced assemblages of early 18th century red earthenware and other types of Staffordshire type slip ware pottery. The sites are known to have been abandoned before 1760 and furthermore much of the pottery is tightly dated by direct association with glass bottle assemblages. This report concerns relatively rare archaeological pottery in Scotland; that from the first half of the 18th century. Most of the pottery comes from secure archaeological contexts and is nearly all dateable by the inclusion of significant glass bottle assemblages which are tightly dated on stylistic shape and type (Murdoch 2006 & 2016), this was especially true of the Smithwood and Millbrae sites, however while the ages of the glass items are securely fixed to within a decade or so, the pottery is only positively dateable across the first half of the 18th century. All of the assemblages had green and salt glaze pottery included, which in the case of the BAG sites certainly predated the pottery discussed here, while that at Millbrae (North Clyde Archaeological Society) may be contemporary with the earliest slip wares from there. The sites by BAG are reported here and those by North Clyde Archaeological Society on www.spanglefish.com/northclydearchaeologicalsociety.com. This report concerns only the 18th C pottery, which has never been ‘expertly’ examined and reported, the opinions expressed here must therefore be taken as ‘non-specialist’.